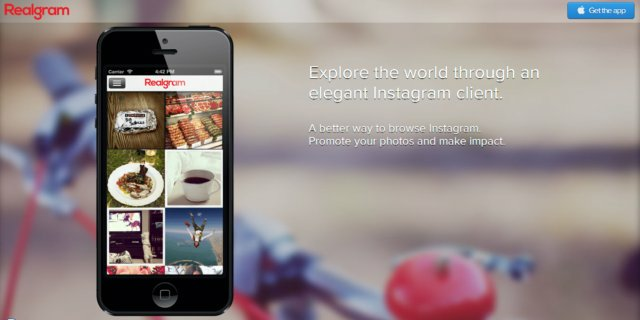 Realgram for iPhone is an Instagram client offering a beautiful interface with the ability to explore nearby photos. There is an optional paid feature to promote your photos within the app. Follow them on Twitter and Facebook.